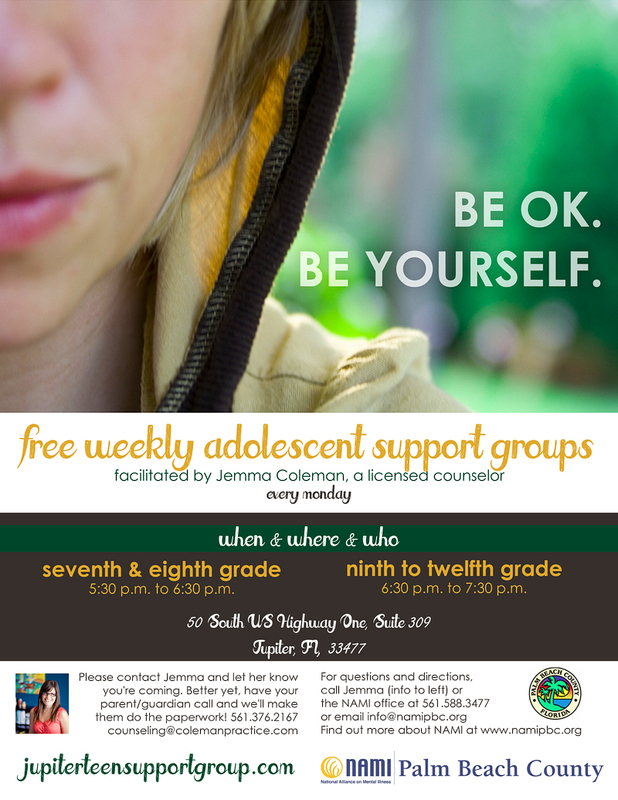 Weekly support groups are being held in Jupiter, FL at the office of Jemma Coleman LMFT, LMHC. Please download and fill out the required registration and consent form before attending. Please let me know to expect you by emailing or calling me prior to attending! Looking forward to seeing you soon! Spread the word, tell your friends, here is a PDF version of the flyer below to share at school, church, or wherever.